Today the pregnant Duchess Kate made a surprise visit to Paddington Train Station to attend a children charity event with Prince William and Prince Harry. Embed from Getty ImagesThe event was organized to see off some special children to a special journey from the charities supported by the royal trio. Today’s event was hosted by BAFTA through their programme BAFTAKids a charity supported by Duke of Cambridge on board the Belmond British Pullman train. Embed from Getty ImagesThe surprised appearance was Duchess’ second one after announcement of third pregnancy. 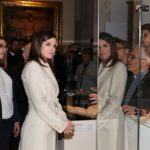 Duchess is still recovering from morning sickness but Kensington Palace remarked, “Duchess is better, but she’s still suffering”. The royal trio was joined by the cast and crew of upcoming film Paddington2. 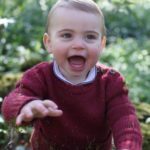 Embed from Getty ImagesKate who is expecting her third baby was in fit of laughter as the Paddington bear charmed her and welcomed her with a kiss on hand. 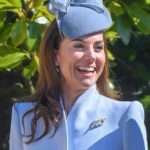 Embed from Getty ImagesPrince William was a charming and attentive husband as he enjoyed the visit with Kate and his brother Prince Harry. 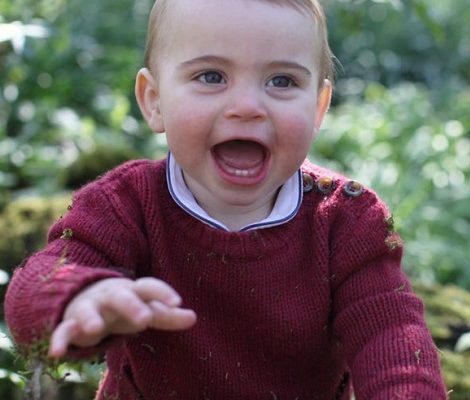 William was amused while Kate enjoyed a twirl from the life-size bear. Kate, William and Harry met the children and the charity representatives and young guests on board. 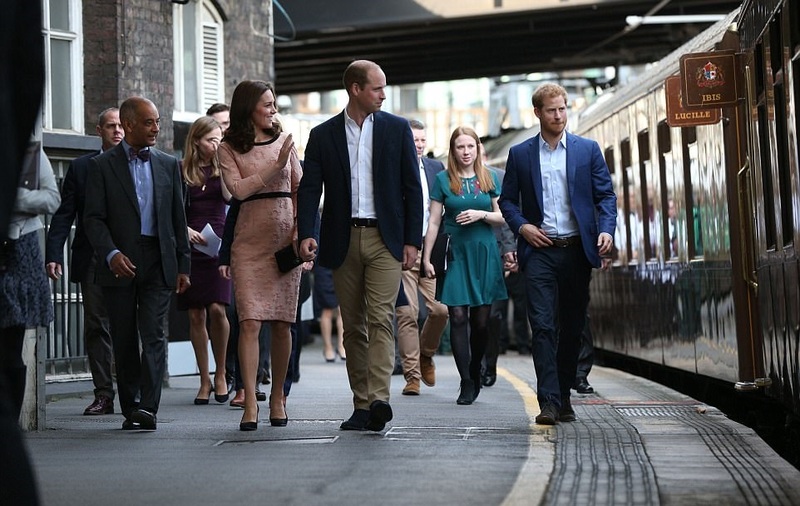 The Palace spokesperson described the event as “a unique opportunity for members of Their Royal Highnesses’ Charities Forum to nominate some of the children they support – many going through difficult times in their lives – for a special trip aboard the train”. Before leaving they waved off Belmond British Pullman as it departed Paddington Station to journey through the English countryside. 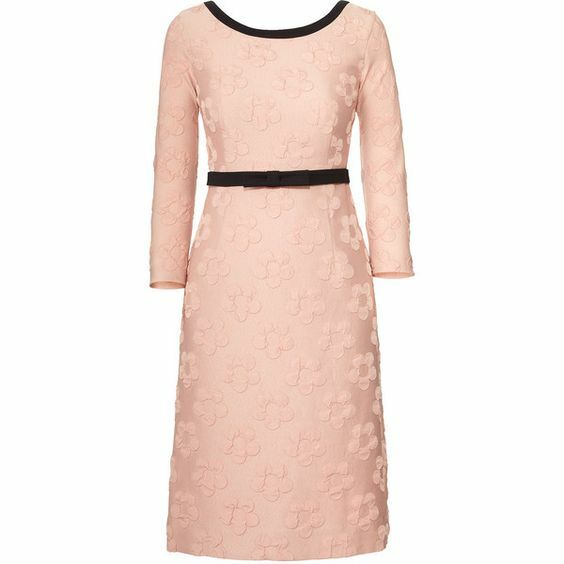 Today Duchess wore an Orla Kiely raised flower fitted dress from label’s Autumn-Winter 2013 collection. The colour of the dress is described as tea rose. The £139 dress has a fitted bodice and slim sleeve and pencil shape skirt. Dress falls just below the knee with a lower back neckline. The dress came with a detachable black contrast fabric belt and the same details on the neckline. 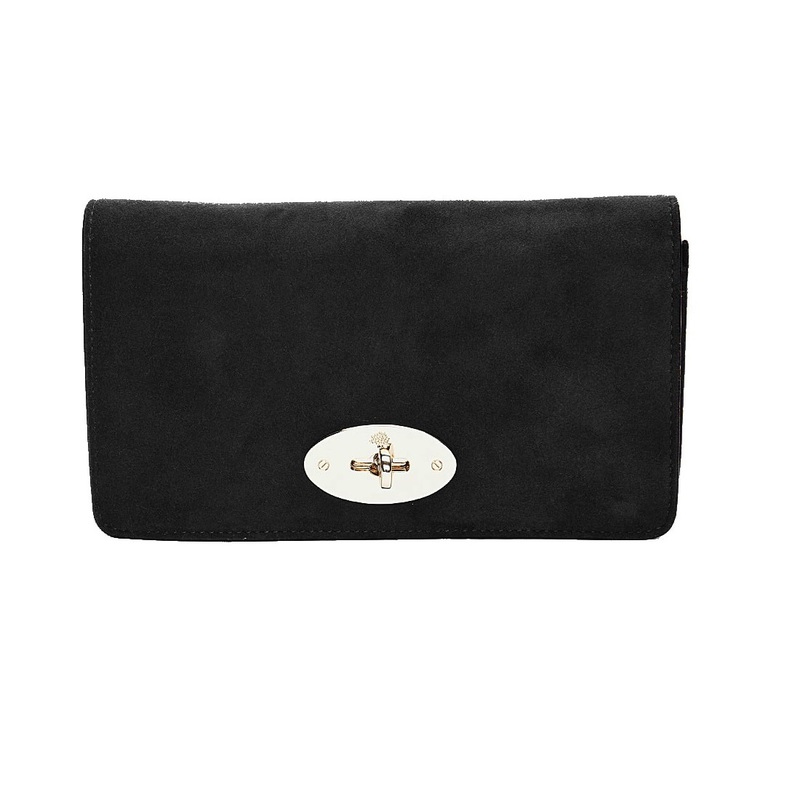 Kate accessorized the outfit with black pumps and clutch. She wore a new pair of black suede block-heel pumps. Giulia on Twitter identified the pumps. They are Tod’s suede calf leather pumps crafted in Italy with sturdy block heel and arch to a streamlined pointed toe. Pumps are available at MyTheresa for $335. 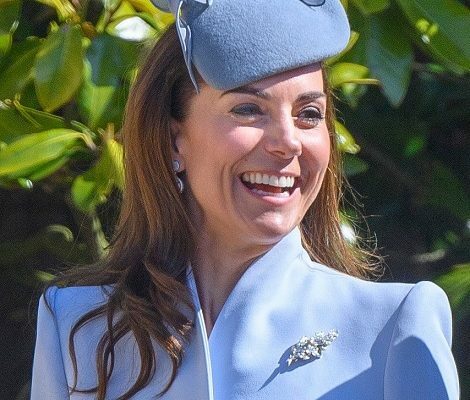 Duchess is carrying her black mulberry clutch and finished her look with Kiki Mcdonough earrings and her Cartier Watch.